The candidate in the previous situation didn’t join my friend’s team because it wasn’t a good fit for both parties. My friend was irked by this interview question because he enjoys what he does, and wants to surround himself with other like-minded, driven professionals. The mention of that question by the candidate clued my friend that this person was looking to fulfill a role, rather than contribute to the company’s success. I respectfully counter my friend: this drive and work ethic to contribute is not a generational trait but an ambition to succeed. Many millennials work diligently to achieve the success and the sense of purpose that’s important to them. That drive is common in each successful professional no matter their generation. 1) Does your company’s mission excite you? 2) Do you recognize how your efforts are helping the company grow? Did you answer “yes” to these questions fist-pumping while jumping in the air? The easiest way to identify if you’re a professional vetted for the success of your company is to notice your tone when you describe your job duties. There’s the “blah-blah-blah” routine conversation that is common at cocktail parties that includes your work, title, and a brief description of your responsibilities, and then there is the dreaded elevator pitch that immediately rolls my eyes. Please don’t people. The conversation to notice is when someone wants to really learn about what you do with your work. If you find yourself deflated when discussing your work in detail to peers, ponder which topics animate you. Politics, religion, sports, carnivorous plants, or whatever. There is a subject that you “nerd-out” about and then love to describe to people whom want to learn. When I get into a zone educating people about the intricacies of my job, I notice my energy levels escalate and I reflect, “Wow, I really do enjoy this.” That’s when I notice that I’m pursuing the right career. Passion is gained by general interest, frequent exposure, the desire to learn more, experience, and perseverance. Trends come and go, the latest gadget will become obsolete, and the world will keep progressing. These points are relevant because you’re not passionate about the iPad 2; you’re passionate about electronics. You’re not passionate about the 2014 Super Bowl run of the Seattle Seahawks; you’re passionate about football or the city of Seattle. Think broad, people and you can find the career, industry, company, or role that will give you your work-life blend. Notice your excitement levels when people want to truly know what you do for work. If you get a “ho-hum” attitude more often than not, consider a change. Think about peers, colleagues, or influencers that you admire whom you know are passionate about their work. 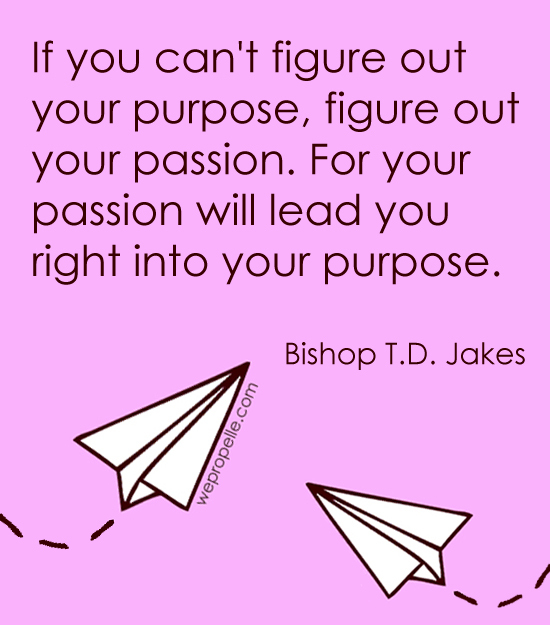 You don’t have to be passionate about their mission. Just notice their behavior as well as their attitude and their activity towards their work. 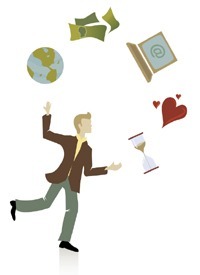 Recognize websites, hobbies, or activities where you participate naturally for self-enjoyment. Think of themes that bridge them together. There are founders, experts being interviewed, columnists, and other workers whom are likely pursuing careers in those industries. Identify the people who want to see you succeed, and ask them to help you brainstorm. Outside opinions introduce you to different approaches and ideas that you may have never considered. If you don’t have these people, contact me. I love brainstorming!! My friends know that I’m passionate about the historical Disney brand. 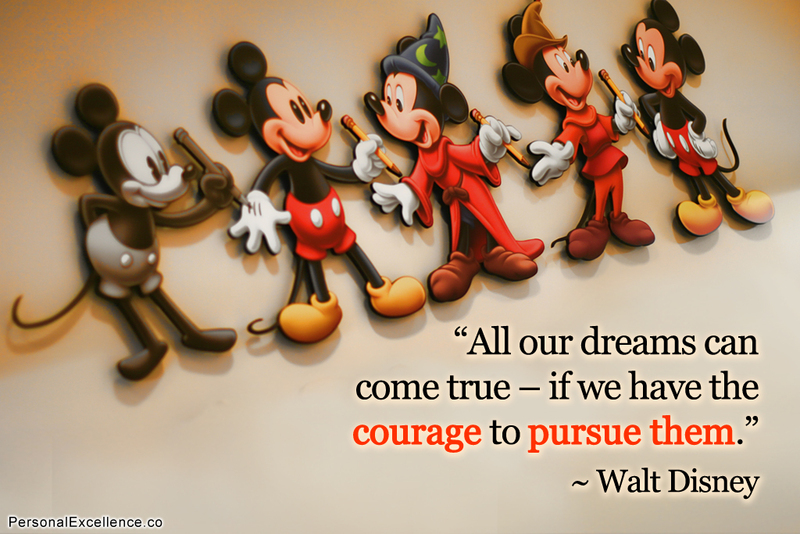 Walt Disney accomplished so many of his goals by following his passions. When I think of Walt Disney, a guy showing up to work to receive a paycheck doesn’t come to mind. I leave you with a quote that inspires me to achieve my own work-life blend. You have to love (passion) what you do. When you have passion for what you do the hours seem to melt away throughout the day. You get up the next morning wondering “…what can I do to be of service to others…”. As a REALTOR, my technical job description is to “facilitate the purchase and sale of homes by representing the buyer or seller via an agency agreement” and that sounds real boring. My mission is to “delight home buyers and sellers by using my skills and knowledge, combined with technology, to find the perfect home and make the process simple and quick”. Or I guess I could say: “to be of service to make their day (and life) a little easier”. That is my passion. Thank you Bill and Suzanne for the kind words and ideas. It’s exciting to share ideas with like-minded professionals working towards success. Please visit often!